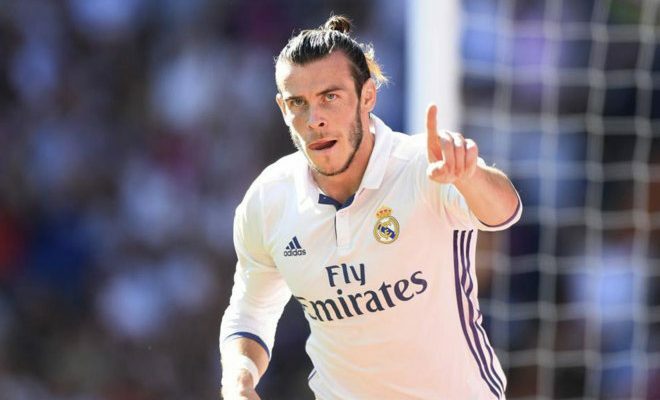 Insane details of Gareth Bale new contract – Kenyatta University TV (KUTV). All Rights Reserved. World class footballers earn a lot of money but even by the standards of football’s multi-millionaire superstars, Gareth Bale’s new Real Madrid contract is RIDICULOUS. The Wales international put pen to paper on Monday on a deal which ties him to Real until 30 June, 2022, which expires just before he turns 33, which will see him earn an annual salary of £18million. “Real Madrid and Gareth Bale have agreed to the extension of the player’s contract, which ties him to the club until June 30, 2022,” read a club statement. £600,000 will be his weekly wage which means £350,000 is what he will now be taking home every week, AFTER TAX. If he plays 90 minutes each week then he will earn £3,888. His release clause has been set as 1 billion Euros. His release clause is 1 billion Euros. The 27-year-old arrived at the Bernabeu from Premier League side Tottenham Hotspur on a six-year deal in 2013 for a then world record fee of £85m. He has helped Real win five trophies in the past three seasons, including the Champions League twice, and scored 62 goals in 135 appearances. Bale joins Luka Modric, Toni Kroos and Lucas Vázquez in committing his future in recent weeks. His previous deal – signed in 2013 – was to run until 2019.